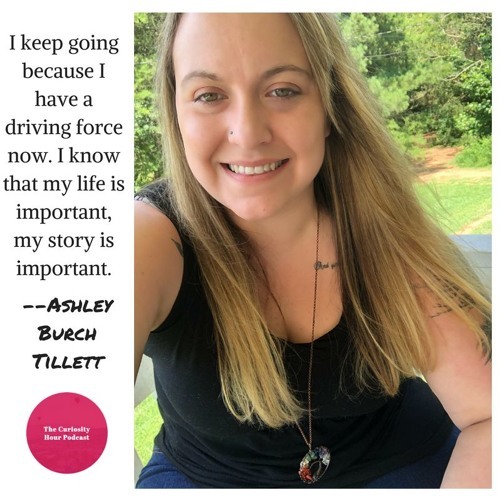 Episode 68 - Ashley Tillett Dan Sterenchuk and Tommy Estlund are honored to have as our guest, Ashley Tillett. "Ashley is a non-biological mother who conceived of a child with another woman, now her ex-partner. She did not protect myself with a second parent adoption and the sperm donor became the legal father and they are now raising her son together. She has no contact and she believes my purpose in life is to educate the LGBT community on protecting their rights as parents. She also believes that this journey has put me on a path to explore and learn more about my own mental illness and shortcomings." Note: Guests create their own bio description for each episode. The Curiosity Hour Podcast is hosted and produced by Dan Sterenchuk and Tommy Estlund. Please visit our website for more information: thecuriosityhourpodcast.com Please visit this page for information where you can listen to our podcast: thecuriosityhourpodcast.com/listen/ If you would like to share your story or have a suggested guest, please complete the "Contact us" form: thecuriosityhourpodcast.com/contact-us/ Disclaimers: The Curiosity Hour Podcast may contain content not suitable for all audiences. Listener discretion advised. The views and opinions expressed by the guests on this podcast are solely those of the guest(s). These views and opinions do not necessarily represent those of The Curiosity Hour Podcast. This podcast may contain explicit language.